​I have just started using OneNote (which is included as a component of Microsoft Office) to help organize some of the clutter of my life, and I am very surprised at how how much I am enjoying using it. 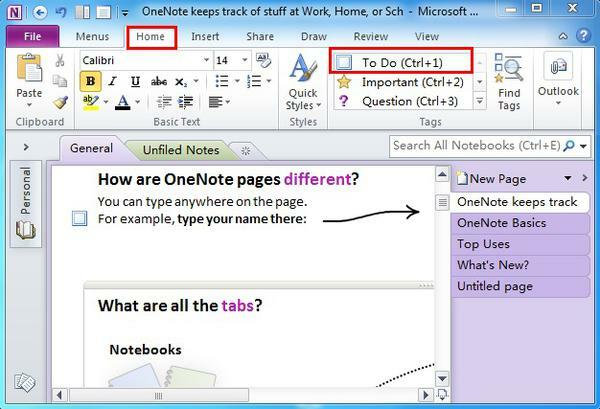 OneNote is a very intuitive and easy to use software product that lets you gather notes, thoughts, and ideas and keep them organized. You can type, paste from other applications, insert information from websites, take screenshots, etc. But what is really unique about OneNote is that it is organized as Notebooks, which are divided into Sections, which contain Pages. This is a very familiar way of thinking for most of us, reminiscent of how we organized our loose leaf binders when we students. I highly recommend that you take a look at this intuitive application, and see if you think it will help you stay organized!